I used to teach a horror literature class, and I would start the year off by talking about the history of this genre. Even though there were some instances of horror before Edgar Allan Poe sat down to craft his unique brand of literature, most modern writers of this genre can trace their roots back to this man. His exploration of the gothic side of our nature and the things that haunt us the most have created some of the most iconic moments in all of literature. His poetic ability also creates a melancholy mood while lyrically creating a sound unique to his style. When thinking of the month of October, Edgar Allan Poe’s name is synonymous with all of the classic creatures that decorate people’s houses to let us know that this holiday is just around the corner. 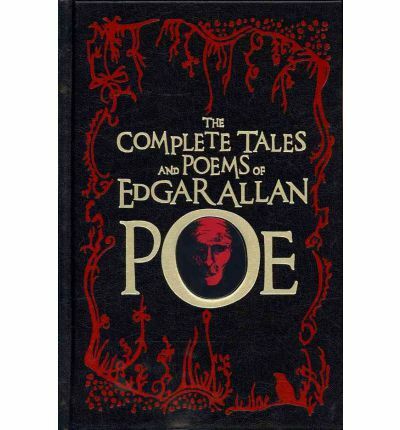 With stories such as “The Cask of the Amontillado”, “The Tell Tale Heart”, “The Fall of the House of Usher”, “The Pit and the Pendulum”, and “The Masque of the Red Death”, people would have a hard time making an argument why Edgar Allan Poe’s complete works should not be included on this list.